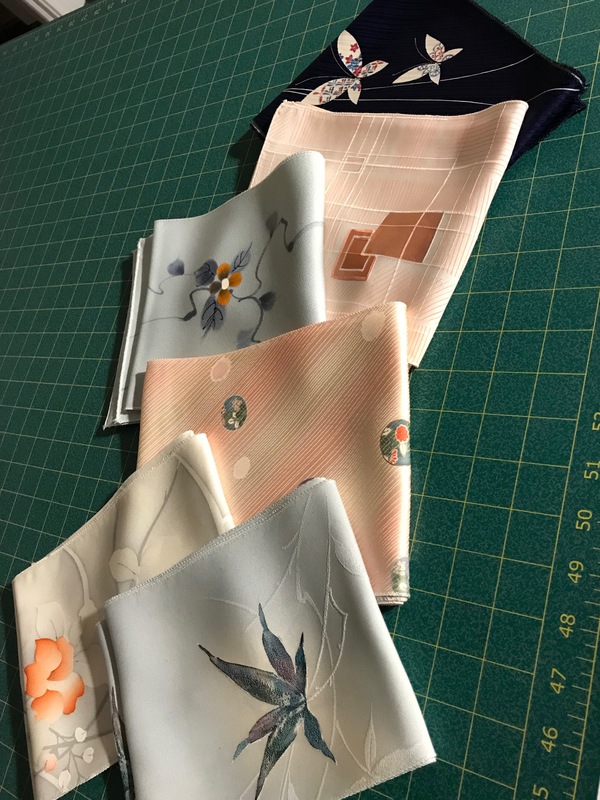 I’ve been keeping an eye on the Ichiroya Kimona Flea Market website for a while now – since I met Ann Williamson, a designer who uses old kimono silk to build her wonderful garment creations. This week the Ichiroya newsletter had a link to an article about how Ichiro Wada hit upon the idea for his online business – selling old kimonos and kimono fabrics. The fabrics are simply gorgeous – I now have 9 bolts and some vague ideas about what to do with them – I want to use them for garments, rather than quilts, but I may attempt a quilt using them. A bolt is 14″ wide and ~ 12 yards in length – enough for a kimono! But since I have no use for a kimono I will use the fabric for other projects. If you’ve ever thought about an online business it’s worth reading the article. 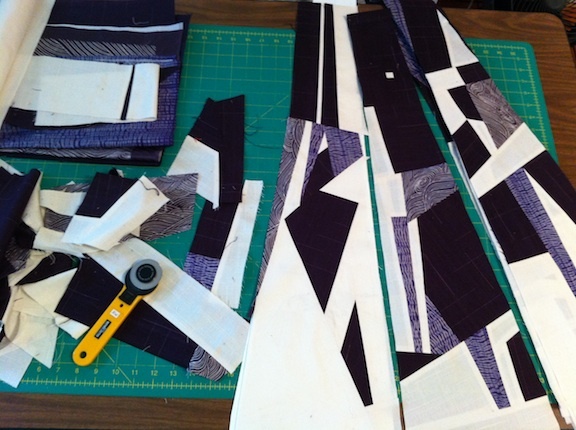 This week, Ann’s working on a third pieced silk skirt to go with a jacket she made in the spring. Skirt #1 & 2 have sold, so to have a complete outfit, she’s making a third skirt. You can see the detailed work she does from these three gored pieces for the skirt. I love her sense of colour and her work is meticulous. I really must get out my silk and think about making something!